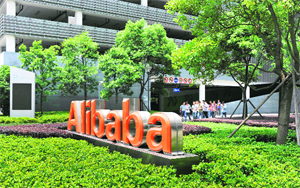 Alibaba Group has signed an MOU with the Confederation of Indian Industry (CII) to collaborate on trade and e-commerce opportunities between Indian and Chinese small and medium-sized enterprises (SMEs) through its B2B arm – Alibaba.com. Under the MOU, Alibaba will work with CII to run e-certificates programmes in India and help Indian SMEs to develop their business by engaging in partnerships with overseas businesses. The MOU will also help Indian SMEs to build brand image at both B2B and B2C levels through collaborations on promotional, training and educational activities. BIIA Comment: This could be a likely stepping stone in building a business information unit in India.